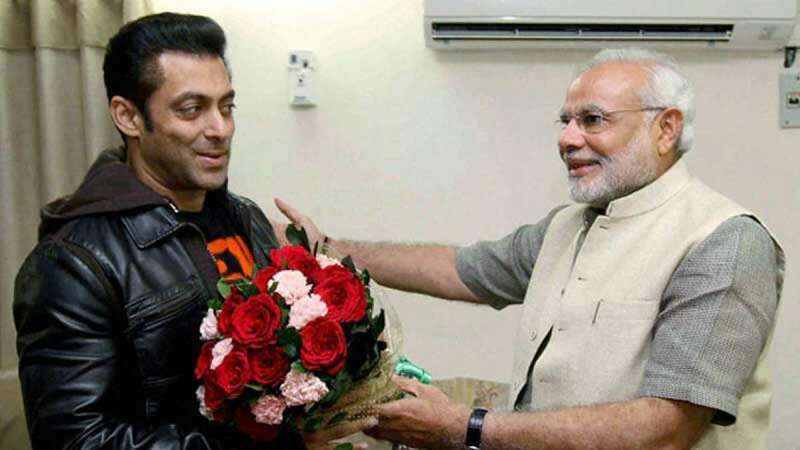 New Delhi : Respecting Prime Minister Narendra Modi's words, Bollywood actor Salman Khan replied to PM's tweet and urged youth to cast their vote in the upcoming Lok Sabha Polls. Salman Khan replied and urged every Indian to vote and "participate in making the government" after the prime minister's tweet on March 13. PM Modi had tagged Salman Khan and Aamir Khan, urging them to "motivate" youth to strengthen the country and democracy. Aamir Khan, another big name of Bollywood who found a mention in PM Modi's tweet, had replied the very day. He urged all citizens of the "biggest democracy in the world" to avail the right to vote and get "heard". In another tweet, Salman Khan clarified that he will neither be campaigning for any political party nor contesting elections. Recently, the Madhya Pradesh Congress had requested Salman Khan to campaign for the party in Indore, a crucial seat that has been in the iron grip of the BJP since 1989. India will vote in seven phases from April 11 to May 19. Votes will be counted on May 23 and on the same day the results will be declared.